White kitchen cabinets with light gray quartz kitchen countertop mixed with black glossy backsplash tile and aluminum metal kitchen backsplash tile. 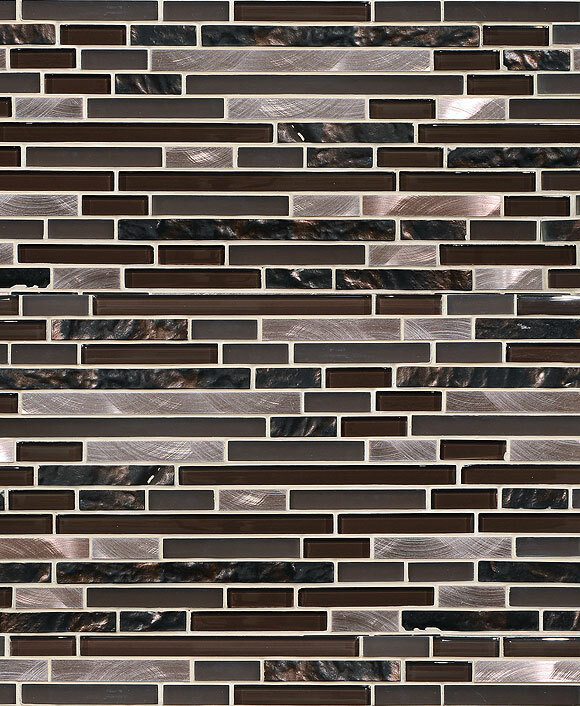 Modern black glass metal backsplash tile for modern design kitchens. 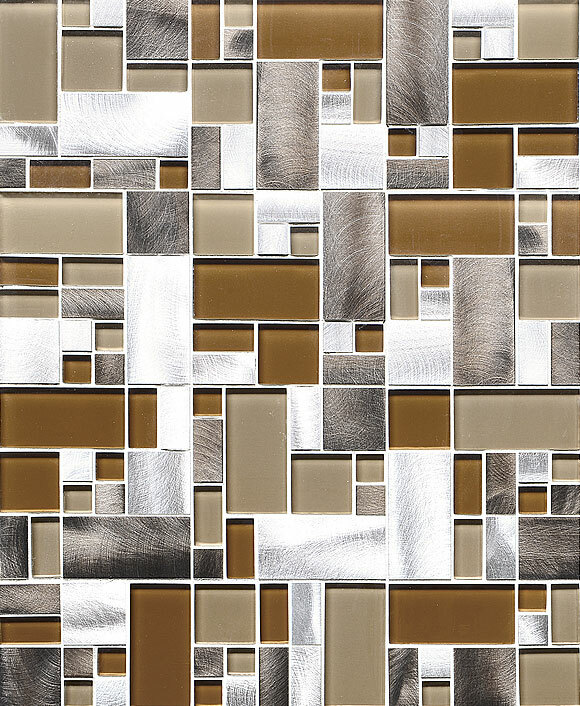 Gray metal modern tile for contemporary to modern kitchens bathrooms. 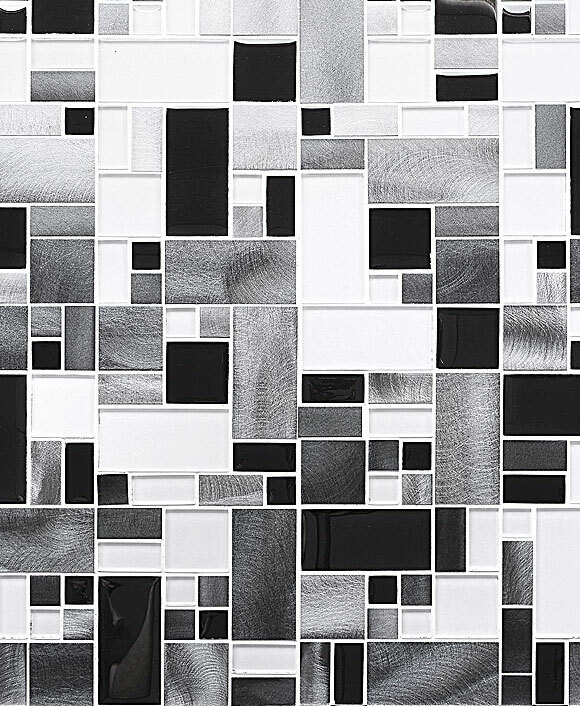 Modern white & gray metal modern tile for modern kitchens or bathroom walls. This entry was posted in BLACK, GLASS, GLOSSY, GRAY, METAL, MODERN, MOSAIC. Bookmark the permalink. Product designer & Interior Design Consultant. Adam strives to design unique kitchen backsplash tiles that will have a positive impact on kitchen or bathroom projects. With more than ten years of extensive and considerable experience, he desires to create and design mosaic tile that exceeds expectations.